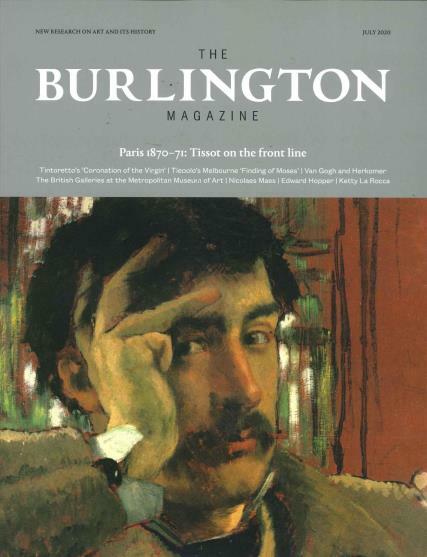 The Burlington magazine is one of the world’s leading and longest established art magazines. Buy a single copy or subscription to The Burlington magazine. Containing concise, well-written articles presenting new discoveries and interpretations, authoritative reviews of books and major exhibitions, alongside an international calendar and editorials. The Magazine is both an enduring work of reference and a running commentary on the art world of today – as well as editorials on topical issues, it features authoritative reviews of all important books and major exhibitions, and the monthly Calendar is the best available guide to art events throughout the world. It's advertising pages present a view of some of the finest works of art on the international market from both galleries and auction houses, together with announcements of museum and dealer exhibitions, art fairs and the latest art book.